Maximise Technology helps clients in trades, building, construction and other physically hazardous environments by bringing together a wide range of quality solutions for mobile technology needs, making sure that the devices are ready to work as hard as the rest of the team – wherever they are, whatever they are doing. Building and construction is undergoing massive change, with technology bringing in a more innovative, more efficient industry. 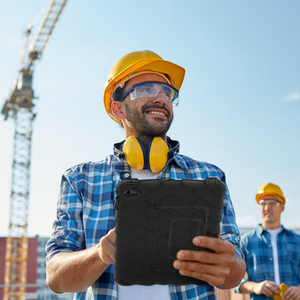 From local trades using iPads and mobile phones in scheduling work and invoicing on the road, to communication and planning for multi-million dollar construction projects being done via Building Information Modelling (BIM) on tablets and laptops – mobile devices are the new best tool for the job! However mobile devices are vulnerable to tough, dirty environments so it is vitally important to keep devices fully protected and charged at all times – to keep the team on the job and on deadline. Find the right rugged tablet, phone or laptop designed for tough environments – dropproof, dustproof – workproof!